Fr. Frank DeSiano, CSP, is a national leader in Catholic evangelization. Fr. DeSiano served as a consultor for the United States Conference of Catholic Bishops’ Committee on Evangelization for more than a dozen years. He has written numerous books on the Catholic faith focusing on evangelization and spirituality. Fr. DeSiano frequently travels across the country to give presentations on evangelization topics at national, diocesan, and parish gatherings. He has recently worked on pastoral tools such as Reactivating Our Catholic Faith and Why Not Consider Becoming a Catholic? (Paulist Press) to help reach Catholics on the sidelines of faith. Fr. Kenneth Boyack, CSP, has authored, co-authored, or edited 17 books including The New Catholic Evangelization and Awakening Faith, Reconnecting with Your Catholic Faith (co-authored with Fr. DeSiano). Fr. 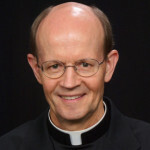 Boyack served as general coordinator of the development of the U.S. bishops’ document, Go and Make Disciples, A National Plan and Strategy for Catholic Evangelization in the United States. He has developed resources such as Invite! and Catholics Reaching Out which equips parishes to invite and welcome inactive Catholics and those with no church family. 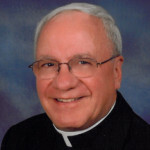 He currently serves as the general coordinator for Living the Eucharist. 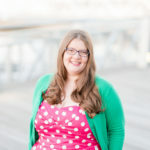 Emily Jackson, is a graduate of the George Washington University where she majored in Political Communications. Prior to joining PEM she worked as the Marketing Assistant at Chick-fil-A in Bethesda where she helped plan events, ran store promotions and catering, and drank a lot of sweet tea. Emily is originally from the Space Coast of Florida, but since moving to DC has developed a deep love of hockey. During baseball season she can be reached at Nats Park. Lisa Williams, has worked as the Office Administrator and Executive Assistant for two incumbent Members of Congress and has over 14 years of International Intellectual Property experience with numerous law firms. In March of 2012 she was a guest panelist at Howard University School of Divinity for the Women’s Interfaith Dialog to discuss “Modesty in Dress for Women of all Faiths.” She is a Sodalist and an active parishioner at St. Gabriel Church. 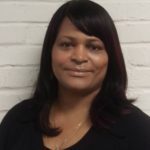 Currently, she is the liaison between the Center City Public Charter School Petworth Campus and St. Gabriel’s. She is also the representative for Black Catholics for St. Gabriel Church in the Archdiocese of Washington. Joan Stenet is the Administrative Assistant for Paulist Evangelization Ministries. Her main focus is the Prison Ministry program. 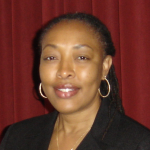 She is a graduate of Woodrow Wilson High School and has worked in retail and office management for over 20 years. In her spare time, she does catering for parties and other functions. She also does decorating for weddings and birthday parties. Joan is a people person who believes that you should give people the respect that you would want them to give you. Jakub Deptula is a graduate of the Catholic University of America, where he majored in Media Studies and in History. Prior to joining PEM, he worked as the Video Editor at Nowy Dziennik Polish Daily News, where he filmed and edited news programs, special reports, and interviews for the New York Metro area. He also worked as a Camera Operator for the Lakewood BlueClaws Minor League Baseball team and as a Photography Intern for the New Jersey Jackals Minor League Baseball team. 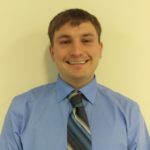 Jakub is originally from Haskell, NJ, and is a huge sports and nature enthusiast. He is proud of his Polish Heritage and his Faith.